The highest paid safety in football is also one of the best. He’s good against the run and pass and provided veteran leadership in the secondary. Perhaps the best guard in football. Snee does his job without anyone noticing, which is the best compliment for an offensive lineman. The heart and soul of the Giants. Took on a leadership role last season. He’s unbelievable in run defense, and can obviously get after the passer. 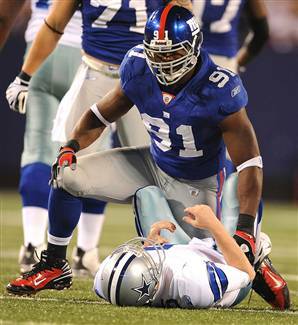 He is one of the best in football at what he does, and, for now at least, he is the best player on the Giants. Those are fair ratings but I honestly think Eli should be #3 and Rolle #4. if Nicks didn’t get injured for a bit this year, Rolle is #5, Nicks is #4 and so on..
Rolle is elite. Do u know how many tackles he made last year? And they don’t throw his way always. That’s for the lack of INTs. If phillips makes a comeback year like osi 2 years removed from surgery, I wouldn’t b afraid to say we have the best safety tandem in the NFL. Tuck is the man! I love Tuck! I saw what you wrote about Bear Pascoe but Im hoping we can get Vontae Leach as soon as the lockout ends. 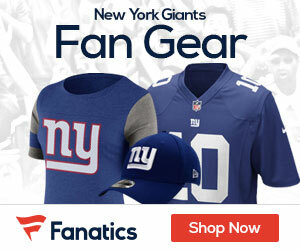 Could you image a defense with Vontae coming at you with Brandon Jacobs running behind him? lmao scary! I predict at the conclusion of this season JPP will have entered the top 10 among Giants players. Also thinking of Snee pairing up with Carl Nicks at G is very intriguing, IMO, he’s the one free agent that needs to be targeted, even if it means losing Cofield. This list isn’t about the most indispensable, but the best. I didn’t want to argue over his opinion piece, but in my opinion Eli isn’t even in the top 10 of best Giants. Ask any other teams fans who they would want from our team and Eli wouldn’t be in the top 15 chosen. The only reason he’s so valuable is because there is only 1 QB on the field at a time And he’s Damn good at his job (valuable he is, but the best he is not). That’s fair but I disagree. I would imagine even teams with HOF QBs would take Eli as a backup in a heartbeat. I guess it’s pointless to debate such odd scenarios but my question is- what exactly is the criteria here? ‘Best’ in relation to other players in the league at their respective position? Either way, love the list. YES SIR! Carl Nicks needs to be at the top of our list and if theres no tag then it should be Ryan Kalil but as of now its gotta be Carl Nicks.I cant imagine the Saints signing him also after making their other guard the highest paid in the league plus Nicks is 25 I believe.